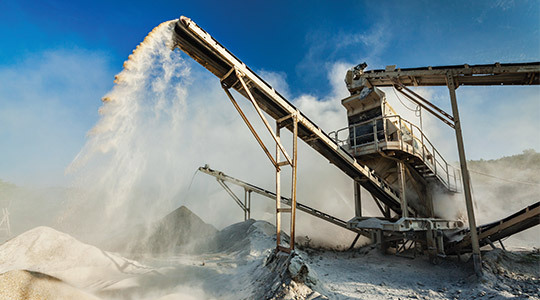 At one of the UK’s largest sand producers, the critical Attrition Cell geared motors have traditionally been monitored using standard methods such as vibration and oil sampling during scheduled maintenance tasks. However, due to the inherent high levels of vibration experienced by these motors during normal operating conditions it was proving very difficult to determine the exact condition of the drives at any point in time. The result was, at best, inaccurate information and at worst, missed critical events. Utilising the unique, patented Oil Quality Sensor (OQSx) from Tan Delta, the organisation was able to implement a solution that not only provided more detailed and accurate information relating to the condition of the oil but also allowed for continuous ‘always on’ monitoring and access to critical data in real-time. The organisation installed 8 sensors and linked them into the local PLC units. By setting predetermined warning levels the system will automatically trigger alarms (klaxons or beacons) around the site ensuring that potential issues are identified as and when they occur. Cost of maintenance significantly reduced and unplanned downtime eradicated. Real-time, accurate and detailed information now readily available to on-site team. Continuously monitor the overall oil condition on key equipment. Oil Quality Sensors (OQSx) fitted throughout every site.